Hedge fund Tudor Investment Corp., the Greenwich firm founded by industry power Paul Tudor Jones, has signed a lease at 200 Elm St., the property’s owner, Building and Land Technology, announced Thursday. Now based at 1275 King St., in western Greenwich, Tudor is scheduled to move in April to the downtown Stamford office complex. Tudor will occupy 24,000 square feet, in the building’s B wing. It will join consumer-goods giant Henkel and professional-services firm RSM, which both opened offices in the hub earlier this year. Brian Carcaterra, of CBRE Connecticut, represented Tudor in the deal. The lease signing follows Tudor’s $34 million sale last month of its 43-acre King Street property to neighboring Brunswick School, a move made as part of Tudor’s strategy to relocate closer to Metro-North train lines. The new offices stand about a half-mile from the downtown Stamford station; a trolley links the two locations. Tudor would continue to occupy its Greenwich offices in the coming months and pay monthly rent to the school, Brunswick officials have said. In September 2018, Brunwick plans to open new facilities on the property. The newly acquired tract stands across the street from the all-boys school’s existing lower and middle school buildings at 1252 King St. In an email to parents and alumni in July, Brunswick Headmaster Tom Philip said the deal had come together unexpectedly when Tudor Jones called him. Tudor Jones reportedly told him the school was his first call to judge potential interest. With the arrival of Tudor, the BLT Financial Centre that encompasses 200 Elm St., and the adjoining 695 E. Main St., would have filled slightly more than half of its nearly 600,000 square feet. At 200 Elm, Henkel uses approximately 155,000 square feet for its North American consumer-goods headquarters, while RSM takes about 29,000 square feet. Professional-services firm Deloitte, which arrived in late 2014, occupies about 120,000 square feet in the clock-tower building at 695 E. Main St. The Financial Centre sat entirely vacant when it was acquired by BLT in 2012 after reinsurer Gen Re relocated a couple of years earlier to Long Ridge Road. It would subsequently undergo a multi-million-dollar renovation, updating a structure built in the early 1980s. 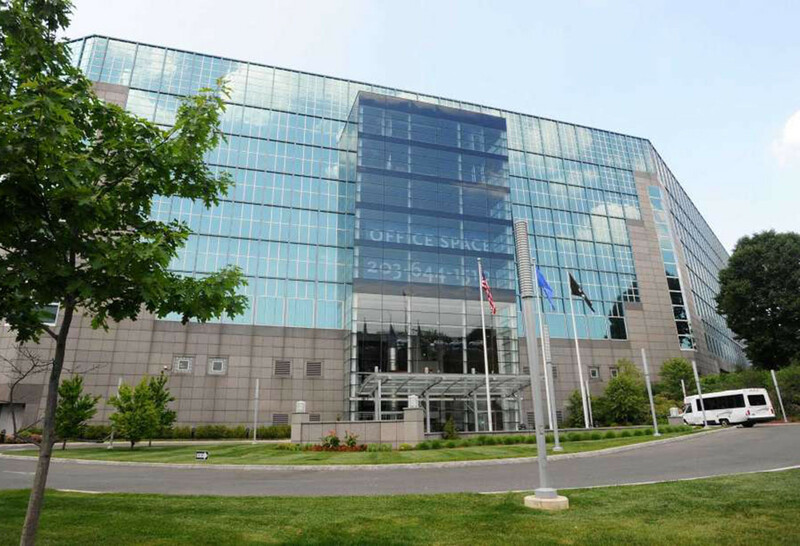 Overall, Stamford’s office vacancy rate runs at approximately 30 percent, according to data from several real estate firms.